Retail price: $49 AUD – $15 of proceeds goes to White Ribbon Foundation. 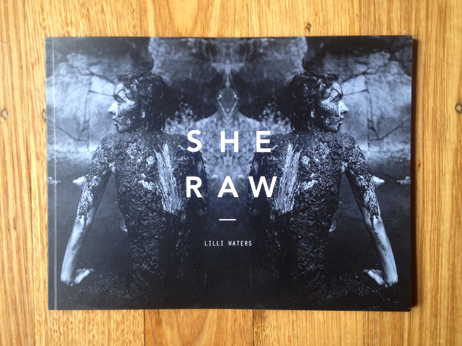 The SHE RAW, 41 Womens Portraits photographic project began in late of 2010, it aims to document everyday women within a state of fantasy whilst drawing directly from their real-life experience and context. This series of photographic portraits uncovers fascinations of the many engaging mysteries and hidden truths which lie, often undiscovered, beneath a woman’s skin. By drawing intimacies and challenges, self-reflection propels us into the untold relationships we have with ourselves and the women around us, giving us further insight into the contrasts of external beauty and internal sanctums.